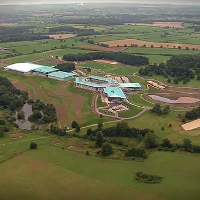 Total facilities management provider OCS has won a five year contract with the Football Association to provide a full FM service at St. George’s Park, the FA’s National Football Centre in Burton-on-Trent, Staffordshire. The contract includes M&E, catering, front-of-house, security and cleaning services. The site, which opened on 2 July 2012, is the base for all coaching and development work by the FA and includes 12 world-class outdoor pitches as well as a full-sized indoor pitch. State-of-the-art hydrotherapy suites, biomechanic training gyms, video analysis amenities, coaching suites and sports science facilities are also key elements of the facility. OCS is to introduce a sustainability park, including an allotment which will generate produce for the catering operation from beehives, composting and recycling areas.